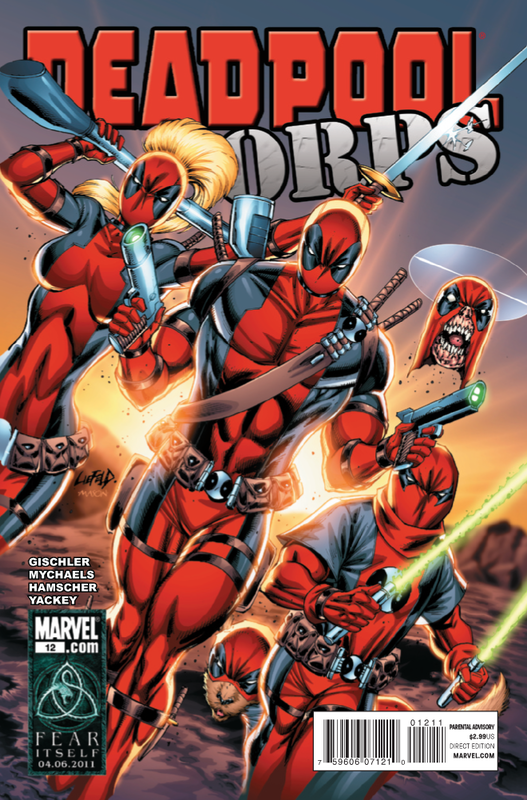 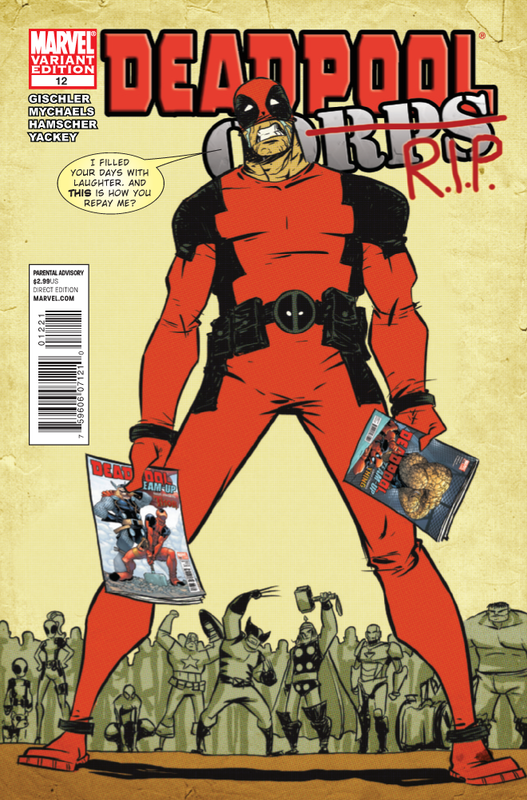 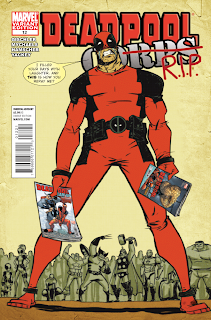 Marvel has provided the following preview of Deadpool Corps #12, which comes out next week on 3/30/2011. 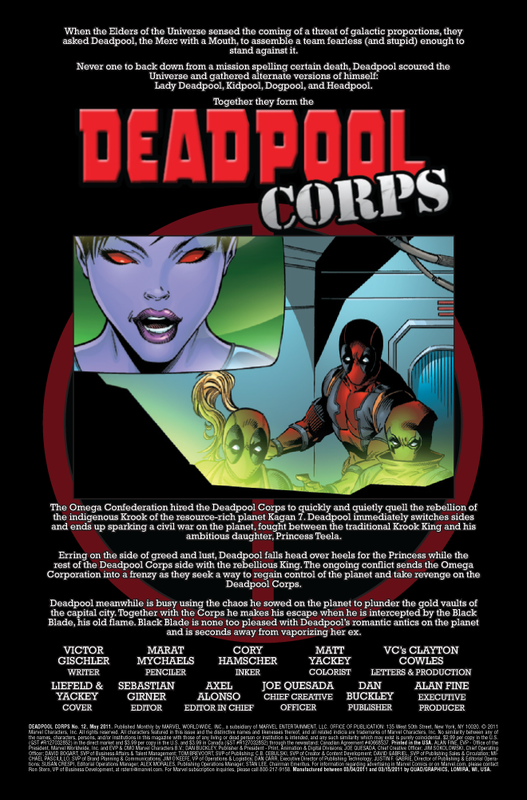 The revolution is over and the fate of the Krook people is now in their own hands, but what of the fate of the Deadpool Corps? 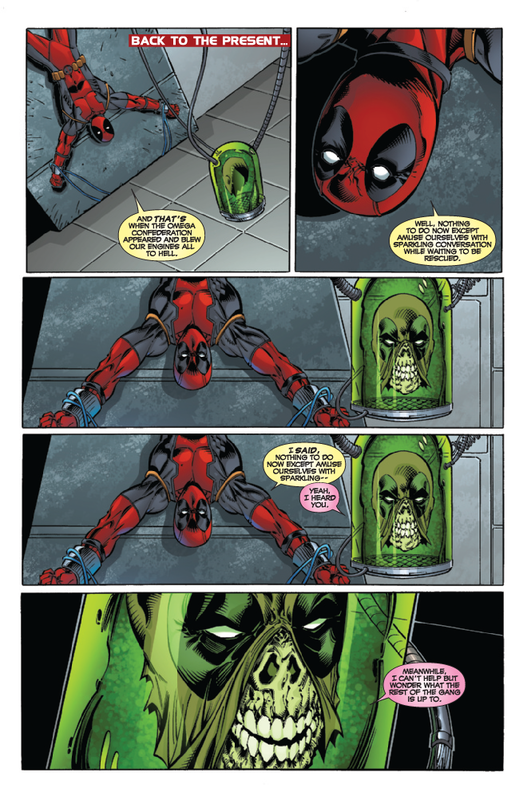 As they try to escape with their tons of ill-gotten booty, the very fate of the Corps itself is in the balance. 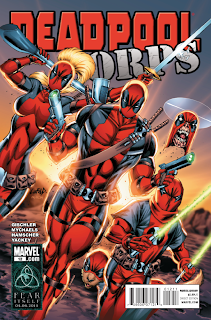 The scintillating conclusion to the Space Family Wilson's adventures across the far-flung cosmos.